If you want to get back into the win column, you may as well do it with a bang. 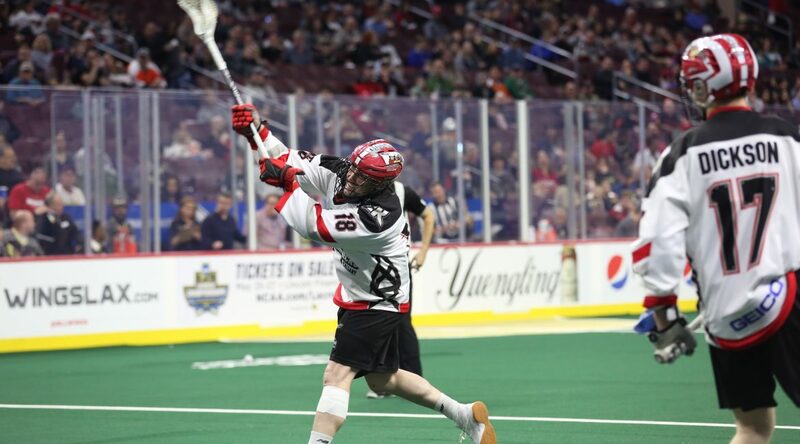 The Riggers are back at .500, improving to 8-8 after a commanding 18-13 victory over the Philadelphia Wings at the Wells Fargo Center Saturday. The Roughnecks dominated the entire game, thanks in part to a 5-0 run in the first quarter. The strong start, paired with offensive contributions from both forwards and defenders powered the victory. Here are 3 Thoughts from head coach Curt Malawsky following Saturday’s tilt. On Dobbie setting a new single-season career high in points at 99 after a four-goal, seven-assist performance.